Exotic fruit notes are the calling cards of these new spring brews. As temperatures rise, brewers are eager to capitalize on consumers’ penchant for refreshing fruit flavors. For some, this means adding real fruit to their brews; for others, finding a careful combination of hops is key to producing a tropical tang. Either way, pointed references to lush fruits and warmer weather are common amongst the following new beer releases. Salt Lake City, Utah’s Uinta Brewing Company has launched Mango Lime Pilsner, its latest seasonal release. The 5.3% abv lager is brewed with natural mango and lime flavors, as well as herbaceous hops. Currently rolling out across Uinta’s 45-state distribution footprint, the new entry is packaged in 6-packs of 12-oucne bottles and cans, and on draft. Starting Memorial Day, Mango Lime Pilsner will be featured alongside Uinta’s West Coast-style IPA in Duo—a mixed 12-pack—as well. For more information, visit Uintabrewing.com. 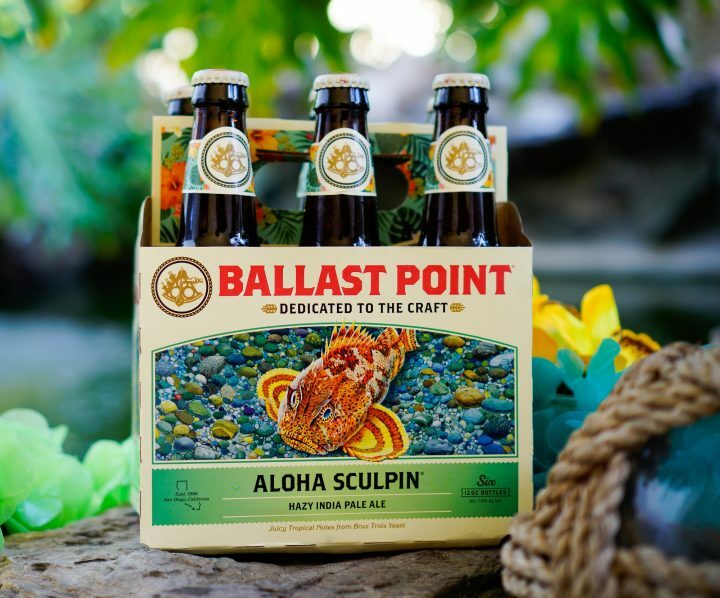 Constellation-owned Ballast Point has introduced its newest seasonal release, Aloha Sculpin IPA. Made with Brux Trois yeast—which imbues the beer with the tropical flavors of guava, mango, and pineapple while instilling a hazy appearance as well—the new brew clocks in at 7% abv. According to the brewery, Aloha Sculpin is the first nationally available IPA to use the Brux Trois yeast strain. The spring/summer seasonal, which marks the sixth Sculpin variant released by Ballast Point, is rolling out now in 6-packs of 12-oucne bottles and on draft. To learn more, visit Ballastpoint.com. California-based Stone Brewing Company has launched Scorpion Bowl IPA, the latest addition to its year-round portfolio. Brewed with Mosaic, Loral, and Mandarina Bavaria hops, the 7.5% abv beer was initially created as a base IPA for a fruit-flavored innovation. According to the brewery, however, the IPA’s passion fruit, pineapple, tangerine, guava, and mango flavors were prominent enough without real fruit additions. Stone Scorpion Bowl IPA is available nationwide in 22-ounce bottles and on draft. For additional information, visit Stonebrewing.com. Colorado-based Left Hand Brewing Co. has released Juicy Goodness, a dry-hopped golden ale. Clocking in at 5.5% abv, the new beer is made with Azacca and Ekuanot hops, then dry-hopped with the Mosaic varietal, resulting in a medium-bodied beer that has tropical and citrus fruit flavors, according to the brewery. Juicy Goodness marks Left Hand’s latest year-round offering and is available on draft and in 6-packs of 12-ounce cans across a 41-state distribution footprint. Visit Lefthandbrewing.com for more information. 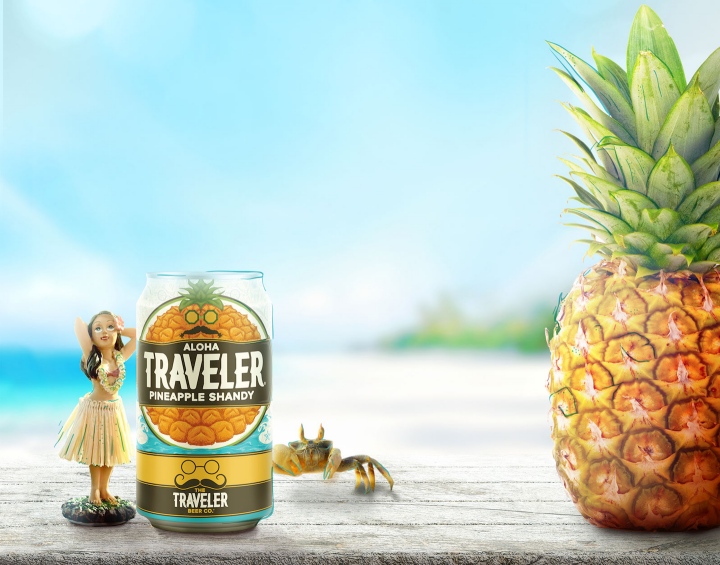 Vermont’s The Traveler Beer Company—a subsidiary of Boston Beer Co.—has re-released Aloha Traveler Pineapple Shandy for the spring season. The tropical-inspired wheat ale is infused with fresh, ripe pineapple prior to bottling. With nationwide distribution, Aloha Traveler is available through spring in 6-, 12-, and variety packs of 12-ounce cans. This is the second year the offering has hit the market. Visit Travelerbeer.com for more.